SEATTLE — Amazon announced on Thursday that its $13.7 billion acquisition of Whole Foods Market Inc. will close on Aug. 28. Amazon also revealed details about how it intends to lower prices and integrate its Prime membership program into the Whole Foods checkout process. The company’s bid for Whole Foods was approved Aug. 23 by antitrust regulators at the Federal Trade Commission, who concluded that the merger would not harm competition. Also on Aug. 23, Whole Foods’ shareholders voted to accept the buyout. The Amazon-Whole Foods deal, unveiled in mid-June, gives Amazon food and urban real estate as it expands into groceries and physical locations. 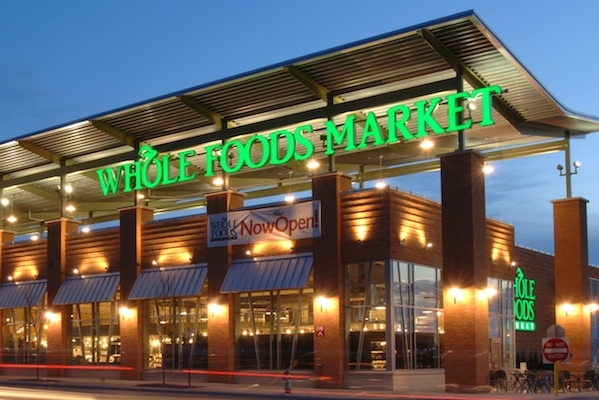 Whole Foods operates 468 stores in North America and the United Kingdom. Amazon said that beginning August 28 it will lower prices of Whole Foods items including organic bananas, brown eggs, organic butter and ground beef. It also plans to make Amazon Prime the customer rewards program at Whole Foods, according to Jeff Wilke, chief executive officer of Amazon Worldwide Consumer. “We’re determined to make healthy and organic food affordable for everyone. Everybody should be able to eat Whole Foods Market quality — we will lower prices without compromising Whole Foods Market’s long-held commitment to the highest standards,” declared Wilke. Amazon will install its Amazon Lockers package pickup machines in some Whole Foods stores. It also will make Whole Foods’ private label products available through its website, AmazonFresh, Prime Pantry and Prime Now. Whole Foods CEO John Mackey will stay in his current role, and Whole Foods’ headquarters will remain in Austin, Texas. The grocer will maintain operations under its current brand. The Whole Foods acquisition is Amazon’s largest yet and holds implications for the future of groceries and the entire food industry. In the last few years, Amazon has expanded its online grocery business, AmazonFresh, but it hasn’t mastered online groceries the same way it has mastered books and media. Amazon has recently opened two AmazonFresh Pickup stores in Seattle and is testing the first checkout-free Amazon Go convenience store. Some grocery analysts see the Whole Foods acquisition as a move by Amazon to expand its distribution hub. Others see it as an opportunity for Amazon to strengthen its relationship with affluent consumers by positioning its Prime membership program as a portal to a variety of premium goods and services.